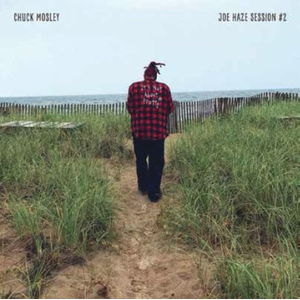 After three decades working in music, Chuck Mosley (Faith No More, Bad Brains, Indoria, Primitive Race) decided to pursue a solo project with a raw, psychedelic, acoustic direction. Armed with his guitar, a vocal effects processor, and a few friends (Cris Morgan, Randy Pirosko, and Douglas Esper), he embarked on a two year tour and completed a few recording sessions. During a six-hour block in August of 2017 with producer Joe Haze, Chuck recorded two covers, ?Nothing Compares 2 U,? originally written by Prince (and originally made famous by Sinead O?Connor), and ?Take this Bottle? by Faith No More (a FNM cut recorded during Mike Patton?s reign). The two recordings have never been released until now. This ended up as Chuck?s last time recording in a studio before his death on November 9th 2017. His guitar solo on Nothing Compares 2 U never got completed as the band had to leave for a show that night in Salt Lake City.